This photo taken few months ago shows the frontage of Hotel Pawan Palace. 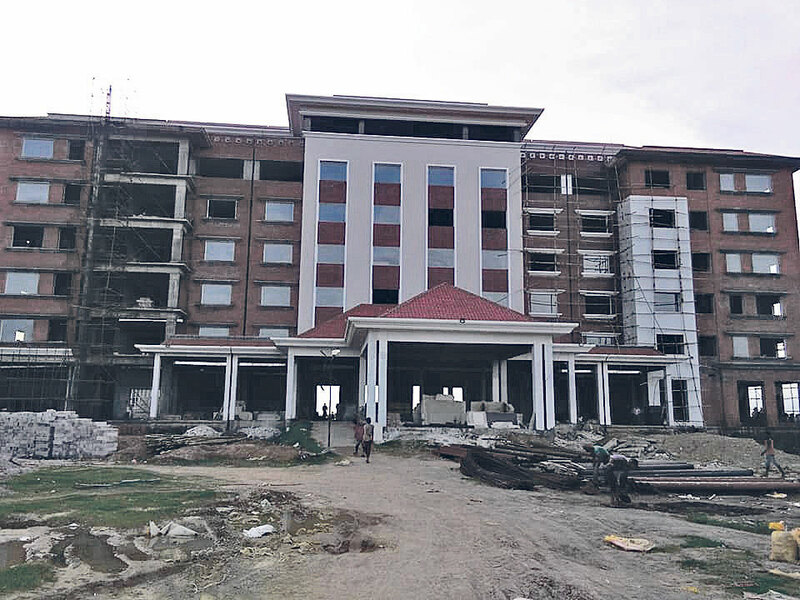 RUPANDEHI, Sept 16: Hotel Pawan Palace, the first five-star hotel in Lumbini, is set to come into operation from October, following a soft launch on September 28, on the occasion of World Tourism Day. The hotel, built on a sprawling land of 2.12 bigaha, is located at Parsa Chowk along the Bhairahawa-Lumbini highway. The hotel has already started taking bookings from India, China, Thailand, and Sri Lanka. The hotel, having an investment of Rs 2 billion, is promoted by Pawan Kumar Haluwai. He is the promoter of Pawan Peda, a popular sweet item of Bhairahawa. He also runs hotels in Indian cities. The 150-room hotel has swimming pools, health clubs, spa, meditation hall, and seminar halls. However, only 100 rooms will be ready for service by November this year. Chief Executive Officer of the hotel, Kevin Ma, informed that they have targeted to extend the length of stay of foreign tourists visiting Lumbini. Ma claimed tourists have been spending less time in Lumbini due to lack of good hotels. This hotel is the second in its category after Tiger Palace Resort, which is already in operation at Kotihawa. Hong Kong-based Silver Heritage Group runs the hotel with an investment of Rs 5.20 billion. With the beginning of the construction of Gautam Buddha International Airport (GBIA) at Bhairahawa, hospitality entrepreneurs are making new investments in the area. The airport is expected to come into operation within August next year. 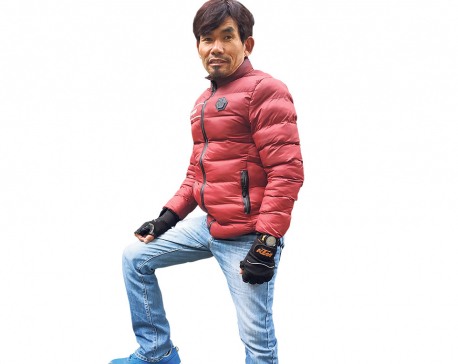 Likewise, a six-lane road between Butwal and Bhairahawa, and an under-construction international conference center are other reasons attracting tourism entrepreneurs in the district. Meanwhile, the government of Province 5 has announced to celebrate 2019 as a tourism year, which is also attracting investments in the district. The number of star-rated hotels is increasing in Butwal, Bhairahawa and Lumbini areas in recent years. This year alone, half dozen star-rated hotels came into operation in the three towns. As per an estimate by hospitality entrepreneurs, the total new investment in the hotels is in the tune of Rs 30 billion in the last five years. Currently, around 200 star-rated or deluxe hotels are in operation in the district. Hotel Avenue, a 120- room 3-star hotel promoted by tourism entrepreneur Bhimlal Neupane, came into operation in the district in July with an investment of Rs 500 million. Likewise, Arambha Group of Hospitality has started Arambha Resort at Butwal with an investment of Rs 200 million. Another 3-star hotel, Hotel Nans, is all set to begin its operation soon at Belahiya. Tourists from different countries including Thailand, Sri Lanka, Japan, China, India, Maldives, and Bhutan come to Nepal just to visit Lumbini.